Would you like to include transport in your schedule? 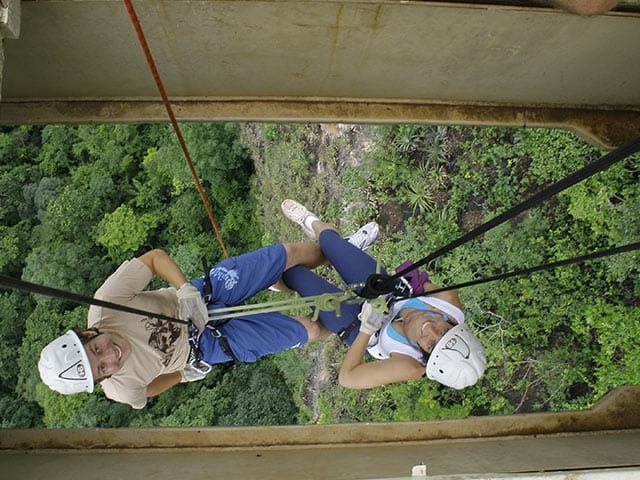 Located over 34 Km from Bodoquena-MS and over 55 Km from Bonito-MS, the Rappelling Boca da Onça tour is an adventure realized at 3.500m far from the reception house to the available platform where begins the activity. 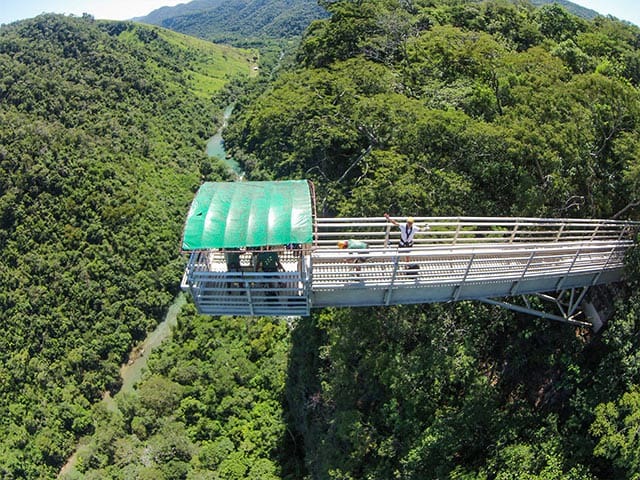 The platform is made of a metallic structure that has 34m wide by 15m long and keeps hanging over a preicipice of 90m of height where begins the rappelling in negative, specialized monitors equip all the tourists according with the security norms and give the necessary instructions to the visitors. 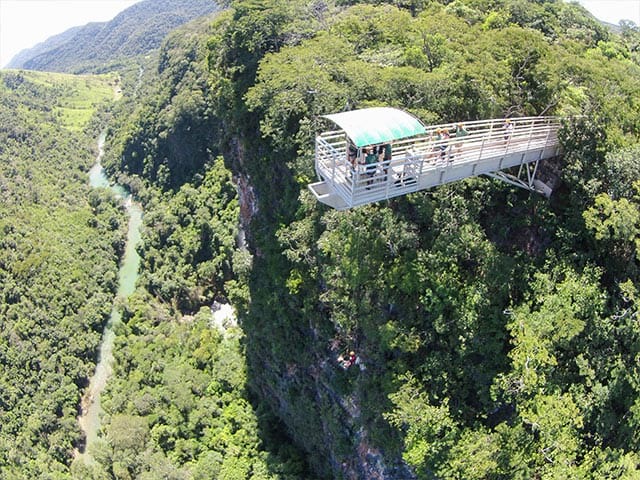 The visitor would have the opportunity to enjoy the highest rapelling platform in Brazil with a view of the Rio Salobra Canyon and the enormous walls of limestone formed millions of years ago. A wood platform at the bottom is going to be waiting all the people to continue with a trek with some swimming points on the waterfalls. At the end of the tour, all visitors return to the reception house for a lunch served on a wood stove, with a varied menu of hot dishes, salads and typical desserts. The attractive counts with: restaurant, souvenirs shop, adapted toilets for people in wheelchairs, hammocks and a support kiosk during the trekking. 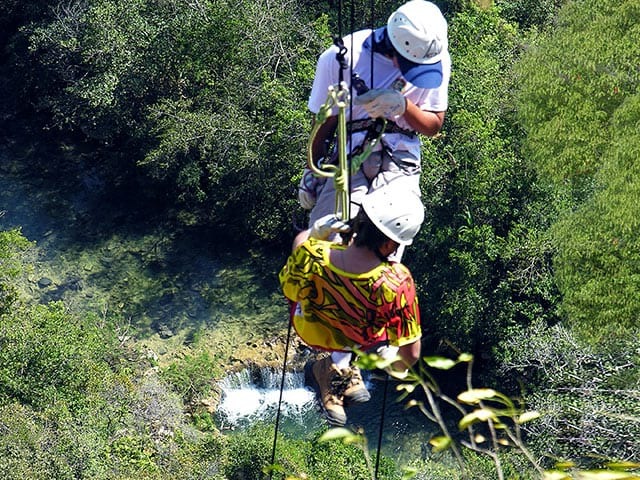 The Rio Salobra Canyon is the perfect setting for rappelling. 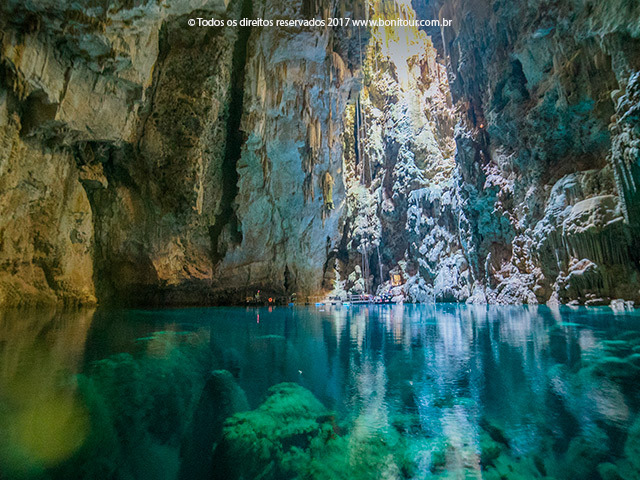 The river rises on the cliffs of the Serra da Bodoquena and follows its way through an immense canyon carved out of the limestone rock. It is a tributary of the Miranda River and belongs to the Paraguay River basin. 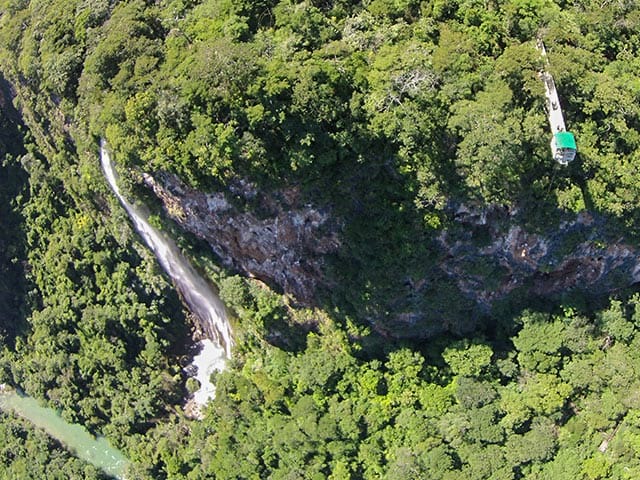 It is considered a scenic river - protected by law - and one of the Pantanal fish nurseries. Restricted for pregnant women and people with cardiac disease. 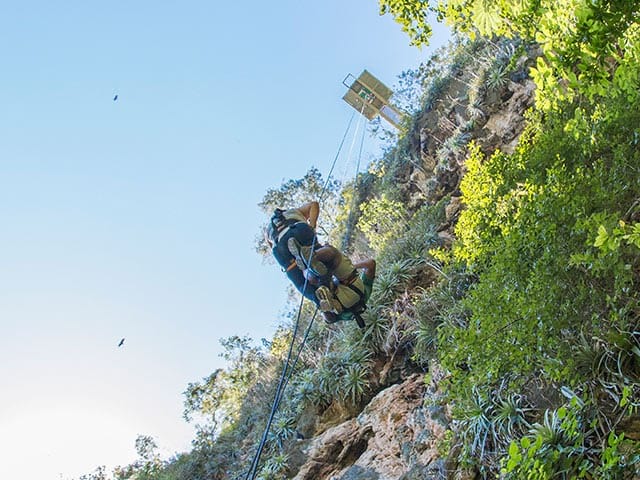 Training at the tourist attraction central of reservations or directly at the attraction is mandatory before the rappelling activity. Not recommended for people with articular difficulties or motricity problems. It is necessary a high physical condition. Low season : up to 48 hours prior to the tour. High season: 10 days prior to the tour.  Pregnant women and people with heart problems. Monday to Friday from 07h00 to 19h00. Our time zone is 1 hour less than Brasília. 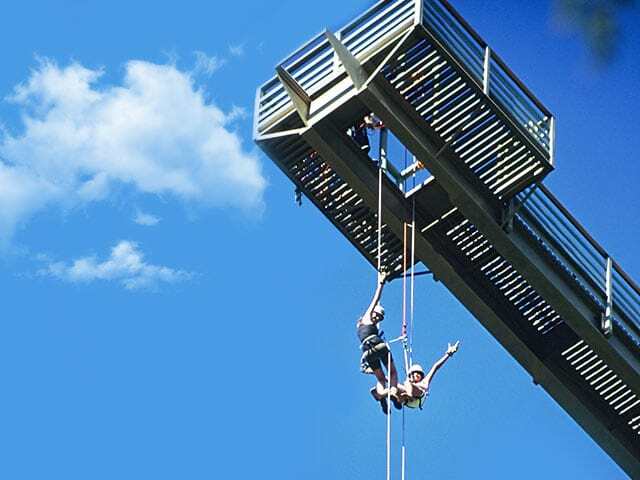 © Bonitour Agência de Turismo - 2019 - All Rights Reserved. After the purchase confirmation, your items will be reserved and you will receive the code to follow your script on the site. Complete your profile information to receive payment confirmation and to release online check-in. There are two types of Check-in, face-to-face and online, if you do not receive the online, go the agency to receive the tickets and information.